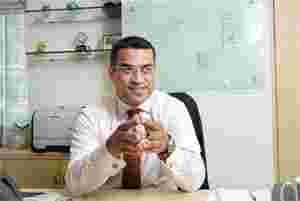 Mumbai: Madan Menon, 45, had multiple tasks the past three years at the Royal Bank of Scotland Group Plc (RBS). First, as country head, he had to build RBS’ wholesale and investment banking business known as global banking and markets (GBM). He then led the Indian transaction team in acquiring ABN Amro NV, as part of a global merger. His latest task was to restructure the operations of both banks to create a single entity. So this means you are ready for take-off? I will not use that word. What I would say is we are making good progress in executing our strategic plan, doing multiple things in terms of client privilege... Ultimately, we are intermediating capital flows, whether it is debt or equity at one level; whether it is for Indian companies and banks. Client demands are changing and banks are finding it tough to deliver client-suited products. How different are you from your competitors? First, our client constituency is large companies, both public and private sector banks, and public sector companies, insurance companies, pension funds and infrastructure companies—this is the basket of clients we get engaged with. Our products are equity capital markets, helping clients to raise equity both in India and overseas...to raise debt from Indian and overseas banks. We also have the strength of our global transaction services business, which provides cash, trade and payments. And all harmonizing with the markets leg of our business—that is the third leg of our footstool. The markets business offers structuring, trading and sales across foreign exchange, credit, fixed income, equities. And the offer of our balance sheet. We also offer strong intellectual advice to assist clients to grow inorganically through mergers and acquisitions (M&A)... And we have enough capital for the next few years to support our business growth. But your competitors offer similar products. What will be your key driver? Our growth will be client-driven. If you take 2010 and 2011, clearly companies want to raise capital to capture growth, and debt in domestic and overseas market. For example, we have an almost record issuance of bonds in the overseas market and RBS was at the forefront. I think we will also see an element of strategic and robust acquisitions, where the funding markets are offshore. Very few global banks have the robustness, integrity, wisdom and connectivity to take Indian companies to America, Europe, Asia Pacific, including Australia, by way of the whole global network. That, in many ways, will work for us. The second part of the business is to capture the natural ongoing operating trade, cash and payments business, which will be fulfilled by our global transaction business. The markets business primarily represents trading, structuring and sales across asset classes. We take some element of proprietary risk in the domestic balance sheet. The markets business ensures enough liquidity to the domestic balance sheet, which will be made available to our chosen list of clients. Bankers say there is a huge demand for Indian paper in the international market. The attractiveness of most of the past issuances meant that long money investors who bought senior unsecured debt were happy and keen to run to term. The credit and their yield were attractive for them to keep it in their portfolio. As the volume issuance increases, certainly there is an element of greater liquidity in the secondary market, that will naturally see a greater supply of Indian debt papers in the offshore market. That is for sure. So you mean more Indian companies like Reliance Industries Ltd (RIL) will raise money from the overseas market? Definitely. The Reliance bond transaction, for example, was a market leading transaction of bond issuance, not only for India but also for Asia, and set a new standard for Asian issuers, let alone the limitations of confining it to India. The robustness of Indian issuers to diversify their sources of capital is there, and that necessarily means looking at both international and domestic markets, with each one playing a significant role for them. That RIL has guaranteed their subsidiary companies’ bonds is clearly a trend setter. How busy are you with the deal pipeline? We are busy. I won’t say one year or three years, but we are busy. On the M&A side, there will always be high quality engagement with Indian companies. Within the context of investment banking, equity capital market, debt capital market and M&A, we are doing well. In terms of putting our own capital for capital-enabled businesses, we are also doing well. I am confident of doing well this year and next year.